Cloud gives you speed, agility and Self-service. 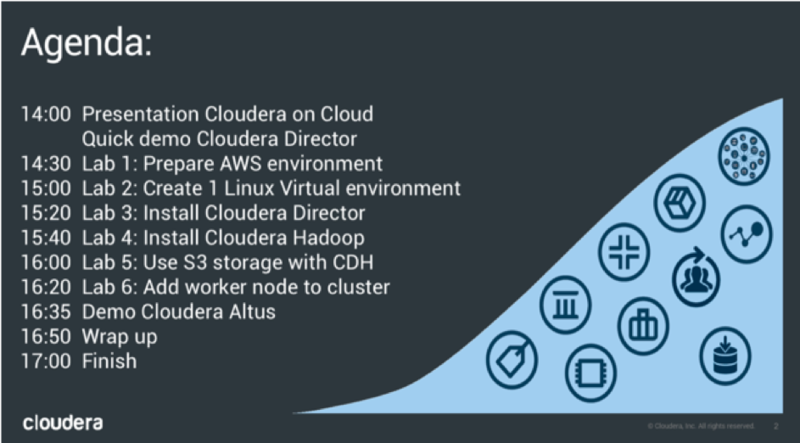 Cloudera is the modern platform for machine learning and advanced analytics. Combine the two and you get an opportunity to move faster and be more responsive to the needs of the business. Cloudera can help you put data at the center of your business and drive innovation in the cloud. Perform advanced analytics in the Cloud. Offload your SAP data, data warehouse, relational DB into the Cloud, develop machine learning workloads in the Cloud. Perform ETL and drive new customer insight.